A trust allows an individual to assign someone to manage his or her property. Property is anything including land, physical assets, stocks and bonds, cash etc. A trust can come into play when a persons health begins to fail or becomes in some way incapable of handling his own affairs. The trust allows the owner to transfer property management to a custodian - i.e. the trustee. The trustee can then manage the property for the beneficiary. A trust that is executed during one's life is referred to a living trust. 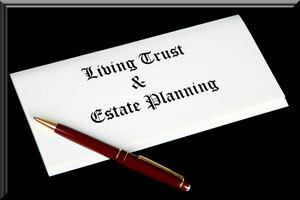 There are revocable and irrevocable living trusts. A revocable trust is just that; it allows the person who created the trust the power to revoke or change the trust. Since any property assigned to the trust during your life are NOT subject to probate, it is considered a more private option to a simple will. An irrevocable trust transfers property control completely to the trustee. There are times to use an irrevocable trust as an option however it is advisable to discuss this with your estate planner. Irrevocable trusts can be subject to gift tax liabilities, among other things that need to be considered. One use of the irrevocable trust is the charitable remainder trust. Charitable remainder trusts can create significant estate tax, income tax, and gift tax savings for the taxpayer who is exercises this option. They are especially beneficial for taxpayers who donate significantly appreciated property such as farmland to a charity. The charitable remainder trust allows the taxpayer to make a charitable contribution and receive income over their lifetime. Insurance trusts can be used along with charitable remainder trusts to replace the value given to charity should that be desired. It is important to work with an attorney to discuss you best possible options relative to wills, trusts and estate planning. Our consultation is free and informative.